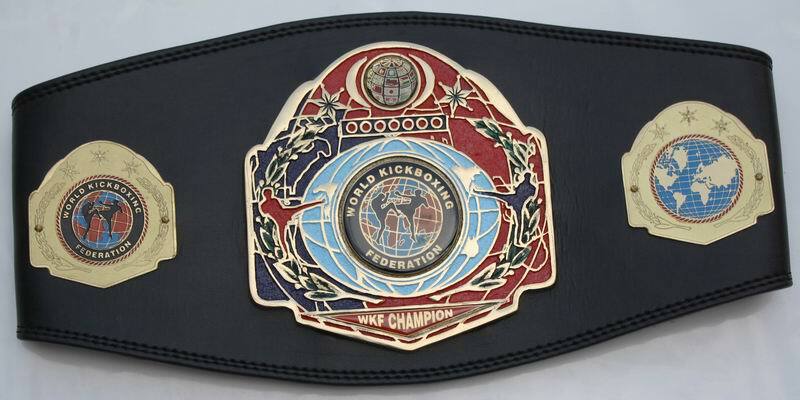 Any new WKF Champion will have the option of defending the title within first six (6) months of their reign. After six (6) months a title defence will be mandatory. If a Champion had not made a defence for more than twelfth (12) months they will be declared inactive, they would have no choice but to defend against the first qualified challenger, for the WKF defined minimum salary. If a Champion had not made a defence for more than eighteen (18) months the WKF can declare the title vacant without giving notice. If a current champion wins the title in line (e.g. if a national Champion wins any European title) the lesser title will be automatically vacated. Please check all possible fighters male or female in the ranking and send for any of your new fighter the usual fighter profile. (Сведенья о бойце ВКФ). We post them in our World ranking. For any upcoming title fight applications we request to send just by mail few weeks before the compulsory title fight application form, (На Русском языке) to avoid any misunderstanding. If our head office agrees the title fight you get the official confirmation, we fix it in the ranking and event schedule on our web site. So everybody could see World wide your event and the booked title fight. World Kickboxing Federation head office will appoint the Supervisor for the title fight. Costs for air ticket, Hotel and food as well as the fee of 300 Euro belongs to the promoter. World Kickboxing Head office is ready any time if you need our support and our first aims are to satisfy our members, but it is still a business. The above mentioned Titles are inclusive Title Belt, Certificate and Official Title Sanction. Discounts offered for multiple Titles promoted on same event. 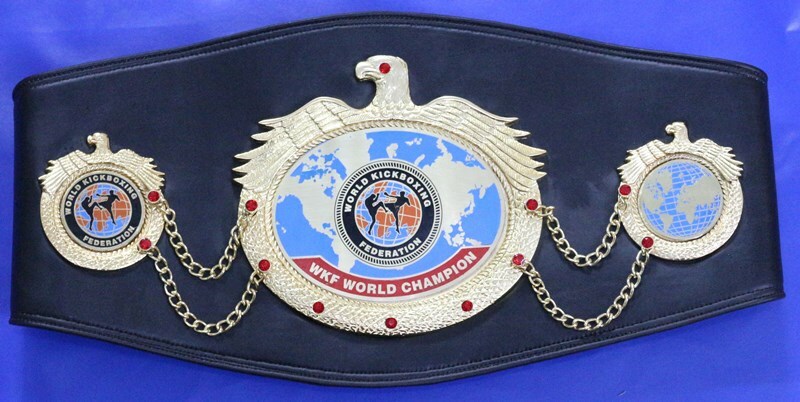 Shipping costs of Title Belts are not included and fee has to be transferred without costs 30 days in advance. We expect the fee money 30 days in advance on our bank account. For more than one title on the same show we are open for any negotiations. Ask for our special offers. For the title fights you will get all title belts and certificates in time. Any weigh-in for titles fight has to be done at the latest 24 hours before the fight, the appointed supervisor must be present in any case during the weigh-in. Both fighters must weigh-in at the same time and on the same scale, both managers / coaches must be present. The list of all WKF referees and supervisors is here ! Both fighters must compulsory undergo medical examinations from the official medic / match doctor. For any international title fights are only two ways of judging possible, without exception. The ring referee can be however from any country. It is the responsibility of all judges to judge the fight fairly and without prejudice. All rounds will be single scored. The supervisor’s duty is to fill in the score keeper form, hand over the certificate and supervise the title fight and to confirm with his sign the result, which he must report to our head office within 24 hours. The supervisor must ask compulsory the promoter for purse and food money (maybe travel expenses) for both fighters at least 24 hours, by weigh-in before the event starts and hold on trust until fight is over and result is clear. 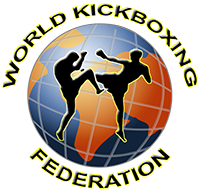 World Kickboxing Federation covers the guarantee that all new Champions are confirmed in the ranking within 48 hours after the event. 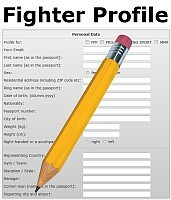 Behave always as professional and change fighter profiles plus few photos for advertising in high resolution. Perhaps a link to “youtube” or a DVD from the latest fight would be helpfully too. If you are not agree with the result, be courteous. Make an official protest ringside immediately after the result by the attended WKF supervisor. The final decision will be done by our head office. Die deutsche Version finden sie hier.